My go to app for #vanlife travel. Always helps navigate us to where we need to stop or even find supplies. Must have for RV’er, camper, or traveler. There are so many resources available on this app that anyone traveling can find useful. I personally use this for RV’ing/Camping and use it for planning purposes. I can find all sorts of camping locations from private to government locations. To supplement my planning, I can find potential rest stops, gas stations, and most importantly potential hill grades and low bridges since I tow a travel trailer. 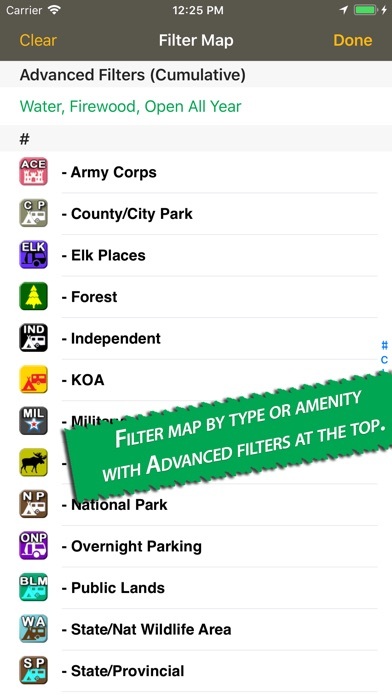 The application is intuitive to use and many filters to help keep the maps clean and easy to read. I use this primarily on my iPad for planning on iPhone when traveling. The campsite reviews are good, but I don’t know necessarily where the reviews are from AllStays or from another source. I use other site reviews once I find a location on this app. I would highly recommend this application. Just returned from a 7417 mile trip in my RV -Class B. Used app dailey! Love it!! Great app but much prefer the look and layout on the old pages for each campground, otherwise it’d be 5 stars. After latest upgrade my XGPS150-360AE1 is no longer recognized by the app. GPS works with other apps. 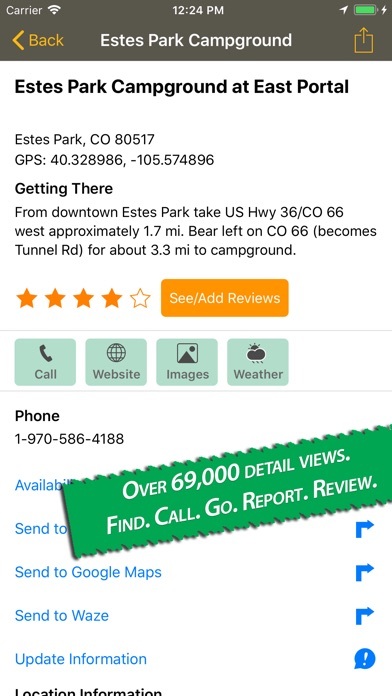 Please fix it as this is my primary app for finding campgrounds on the road. It always says we are in the middle of the Atlantic of first southeast Africa. I am using an iPad mini 4. In filters, I chose Thousand Trails, and Good Same. When I go tothe map, nothing shows. I can zoom all the way in or all the way out with all points in between. Nothing shows. I know there are several TT campgrounds and many Good Sam campgrounds but not a single one shows. And NOTHING else is chosen in filters. Not very useful to find a campground., Today, I ONLY checked Thousand Trails and if I zoomed in enough, it showed the two campgrounds in Ohio. I then added Low Clearance, went back to the map, and NOTHING showed. Very cumbersome to use and not very helpful. I did get a comment from APP support. Basically YADA YADA YADA try only one filter at a time. By clicking TT AND Low Pass, it will ONLY show TT that are ALSO Low Pass. How freakin useless is that? So, it gets a 1 for useful only because nothing lower is allowed. We used this App for over two years of full time RV travel around the USA and Canada. Allstays is an excellent source and replaced our paper books. The RV-Military Allstays version was very helpful. For $9.99 it’s an incredible buy. Great APP for travelers. 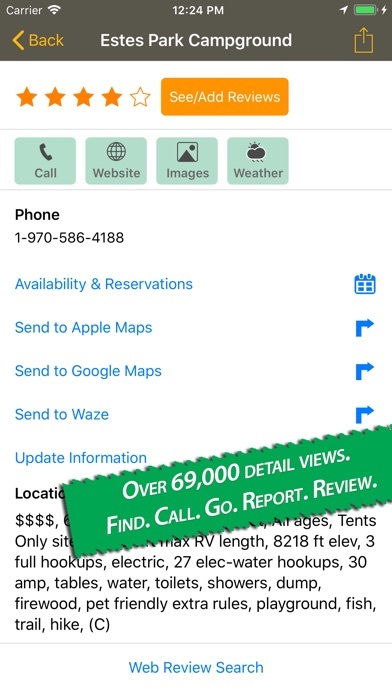 We used this app to find RV Parks, campgrounds, and overnight parking as first time RVers and found it to be accurate and informative. We use it all the time. Like that we’re able to give feedback on the sites we used based on AllStays information. 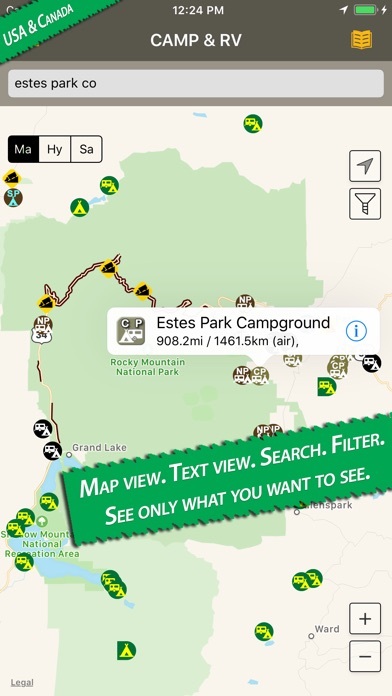 I’d recommend this app to anyone wanting camping information. 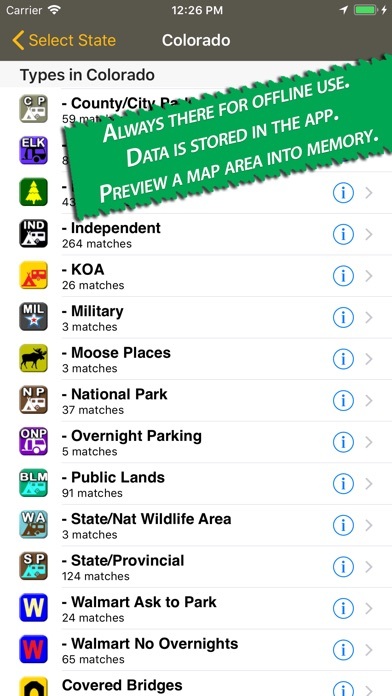 We travel in a 34’ travel trailer and finding spots to accommodate our RV’s length was easy using this app.